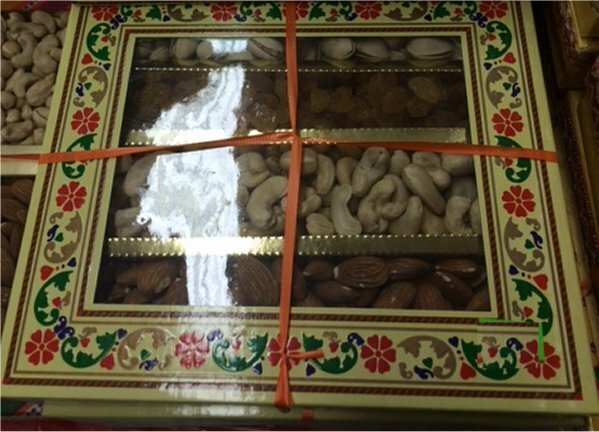 Traditional style Diwali gift boxes filled with assorted dry fruits - cashew, pista, golden raisin, walnuts and/or almonds. 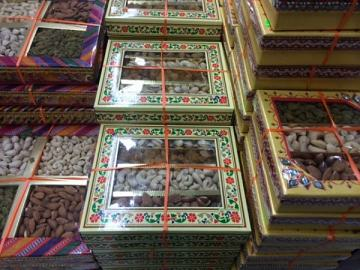 Ideal gift for your friends and family in the USA to lift their spirit during Diwali festival. Note: The design of the decorative boxes may vary. *Price is per gift box. Available in 3 sizes. Minimum 5 boxes to order. Note: This festive gift basket is a seasonal item and only available during Indian festival season. This item in Festival Gift Basket category was first added to our catalog on 06-28-2017. 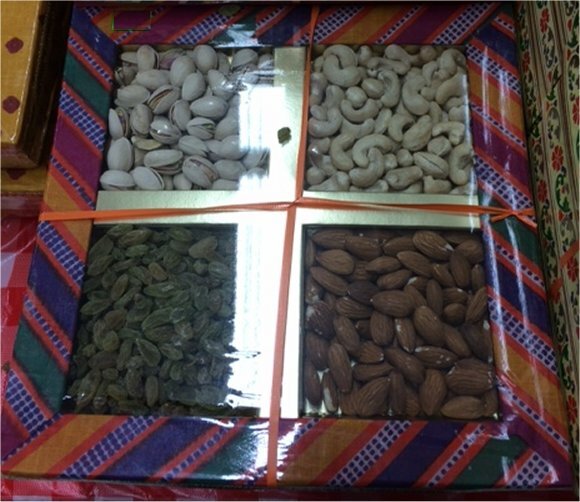 Buy Diwali Gift Box with Mixed Dry Fruits, sold & shipped by Yaadein where you can shop online for Pooja Samagri, Hindu Statues, Puja Items, Religious Gifts & Home Decor. 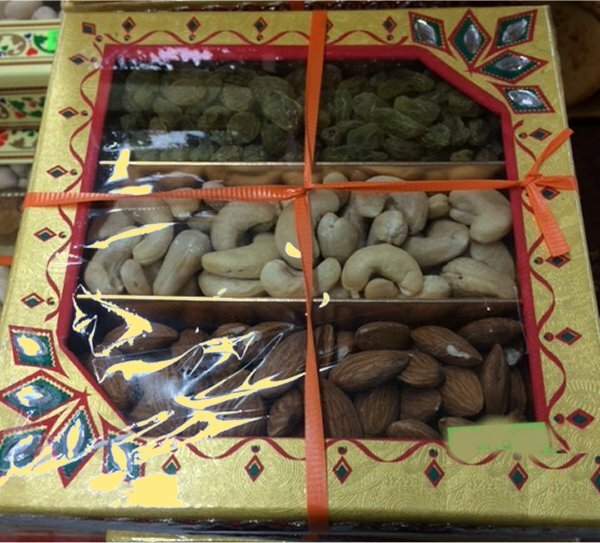 This Diwali Gift Box collection has been tagged as Indian Sweets Gift Basket, Diwali Shopping, Holiday Festive Gift, Return Gifts, Buy Diwali Gifts In Usa.